So, where will we spend the biggest percentage of our budget? You guessed it, the exterior. It needs a lot of attention and will be one of the first things we do. And it needs updating from both a functional and aesthetic standpoint. While I love cedar shake shingles, these are past their prime. We've talked about it before - when you're this close to the water, it's really, really hard on wood. 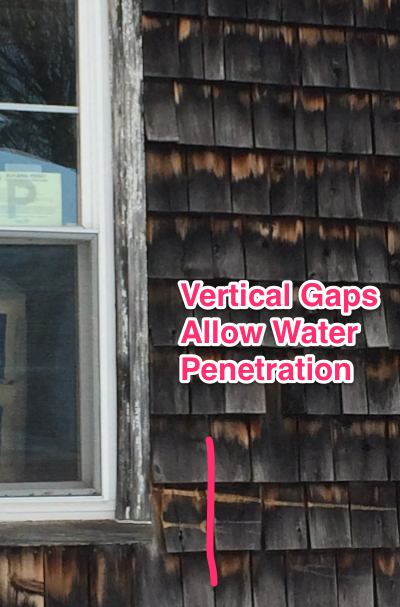 Multiple vertical gaps - the whole reason shingles are staggered is to prevent water from penetrating beneath them. If you have vertical gaps on rows that are directly above one another, you lose the benefit of the staggered orientation. 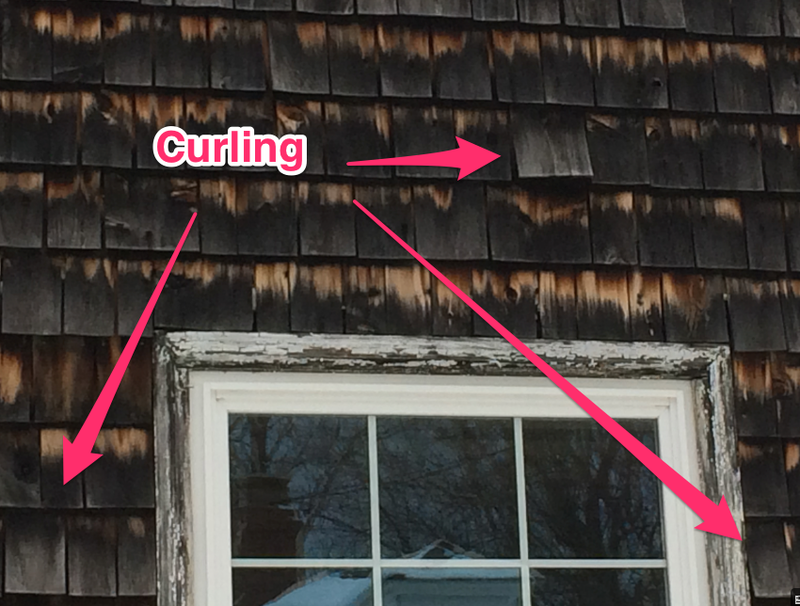 Particularly as the shingles shrink with age and the gaps get larger. 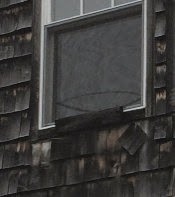 Missing shingles - we get some nasty storms here in Maine and shingles can take a real beating. And sometimes they get ripped right off the building! In addition to replacing the siding, we'll be replacing the roof, with new architectural shingles. With such a steep pitch on the roof, it's very visible from the road and we want it to look good! Oh, and the chimney sweep came out to clean the chimney, but there were so many issues to deal with, we ended up replacing the flue with new bricks and a stainless steel liner. 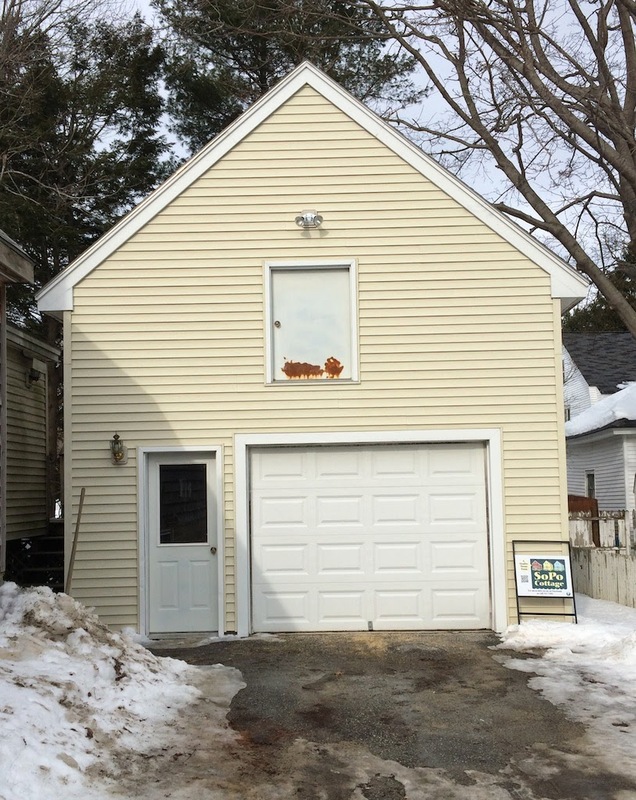 But on the bright side, this oversized one car garage is wonderful! It has lots of room for a car and 'stuff'. And we've already succeeded in filling it with lots of stuff! 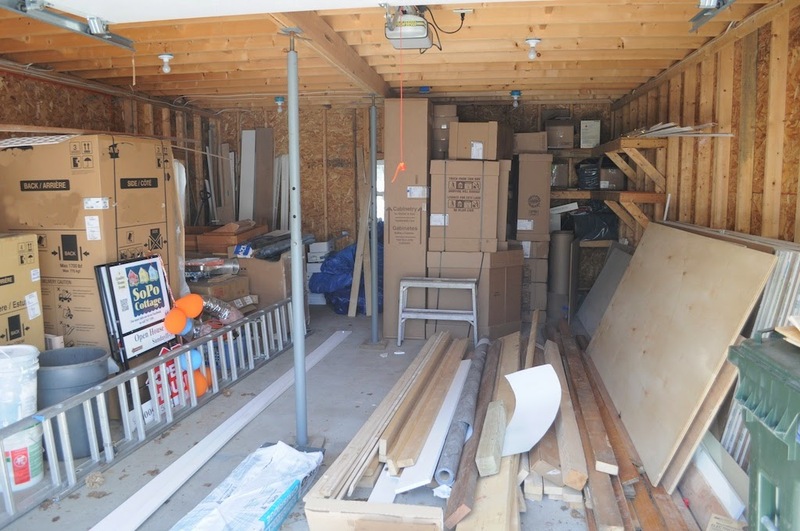 Above the garage is a big, unfinished bonus space. We've decided to leave it that way, so the new owners can decide how they want to treat it. Hmmm......did your kid get a drum set for his birthday and is forming a band? That might be a perfect place for the band to practice (ha ha,,,, did I mention Richard just got an electric guitar? And yes, the thought has crossed my mind!). 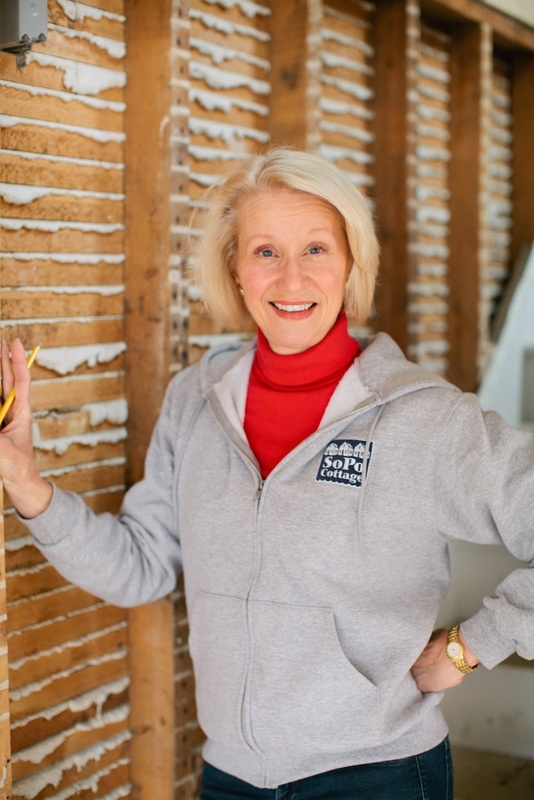 But you might want to insulate the walls a bit first, to stay on good terms with the neighbors!!! We've spent a lot of time formulating a design strategy to pull together the whole house. I'll be sharing the design options soon - can't wait to get your thoughts as we move forward on the plan! You guys find the best houses to transform! Ha ha, best is an interesting term! 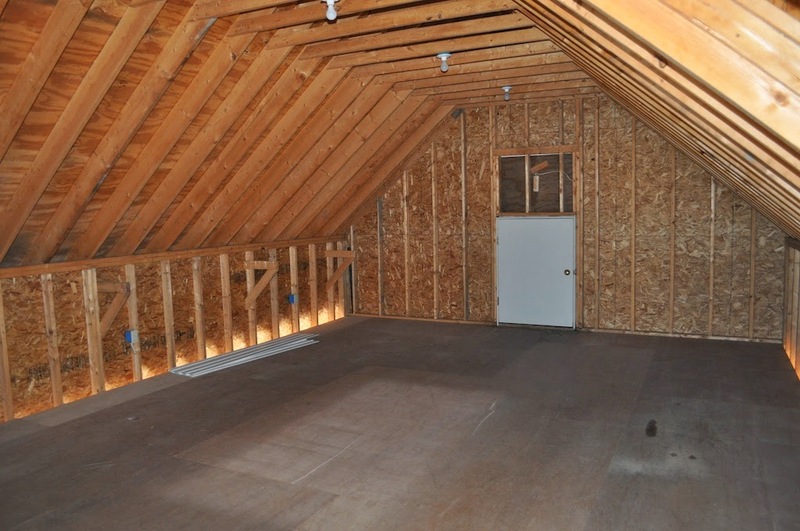 But as you can see, this house has great bones and will be so wonderful for its new owners! This will be fun to watch this house transform. It reminds me of our first house--it was very similar in looks and condition--over on Surfsite Rd. Brings back memories of very old and dry shakes that we replaced. Thanks Stephanie - I can't tell you how excited we are about this house. It's got such a cozy feel to it!!! But now I want to drive by Surfsite and figure out which was yours! So what did you end up doing on the exterior of the house? Did you fix the shingles and then repaint or re-shingle the whole house? I found your blog this morning and love it! Wonderful job! Thanks! 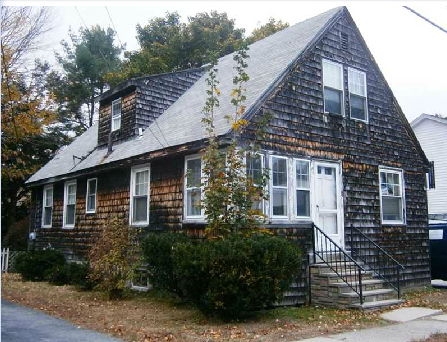 The shingles on this house were long past their useful life. 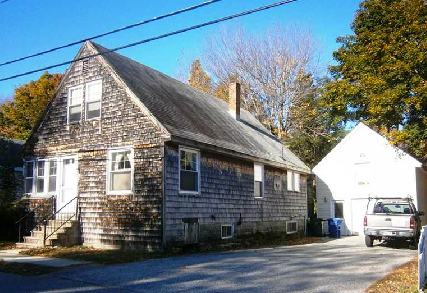 We ended up stripping them and installing vinyl siding that looks like shingles. Best of all, it's no maintenance!